Reserve Bank of India Governor Raghuram Rajan has initiated a major reform in the monetary policy of India's central bank. Going forward, the RBI governor will use pendulum instead of age old policy of using tie to decide on interest rates. "We want to bring an unconventional change to the global perception towards interest rate decisions. Process of using tie to decide on interest rate is widely accepted across the world but it is very slow. Many times my tie stuck in the middle and therefore I need to take decision of holding rates. However, with pendulum which doesn't require my collar would help us on interest rate decision. It will also bring an autonomy to RBI's executive committee of deputy governors and would decentralise the decision making, as any deputy governor could hold the pendulum in his hand," said Rajan in a press release of RBI. Rajan told India Satire correspondent that he would use new technology of throwing coin in the air to decide who the hell (deputy governor) would hold pendulum in his hand. India's Finance Minister Arun Jaitley, financial analysts, economists and many corporate honchos welcome Rajan's decision and advised him that if he is bringing some unconventional change to monetary policy of India he should stick to it for long. 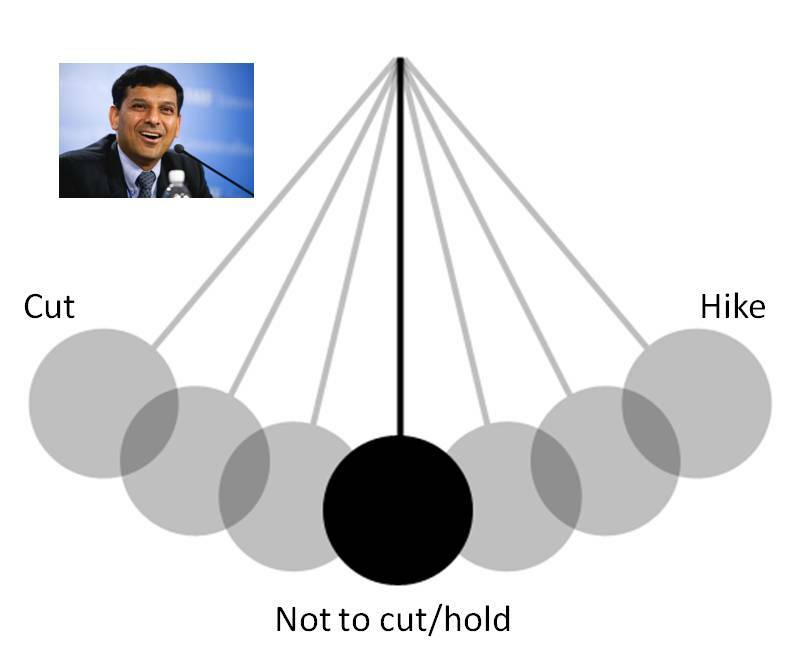 0 comments for "Raghuram Rajan to use pendulum for interest rate decisions"